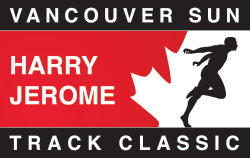 The indoor season is now over and the outdoor season is starting for our Canadian athletes. 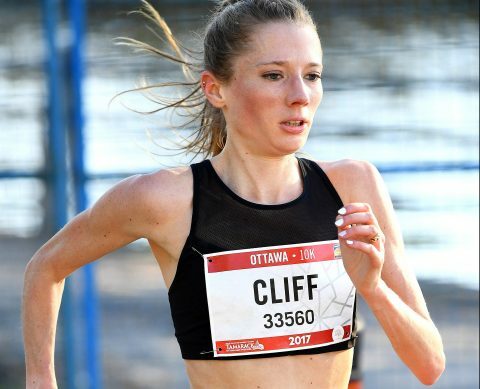 Almost 40 Canadians will run in the Florida Relays in Gainesville this weekend sparked by the fact that the National Relays Camp has been on this week. Many of the sprint crew will run both their individual events as well as the relays which include 4x100m, 4x200m, 4x400m for men and women. 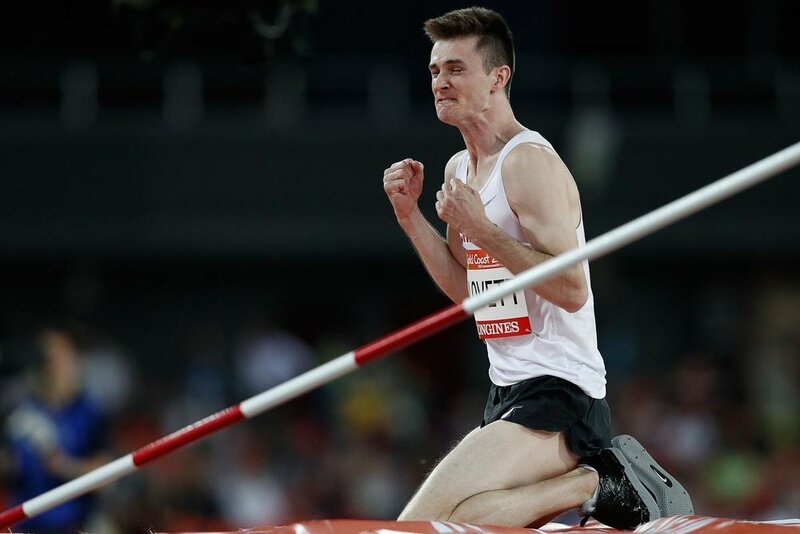 Django Lovett, 2018 Commonwealth Games medalist will kick off his season, as he did not high jump in the indoor season this year. National record holder, Brittany Crew will throw the shot put with her SISU teammate, Sarah Mitton. 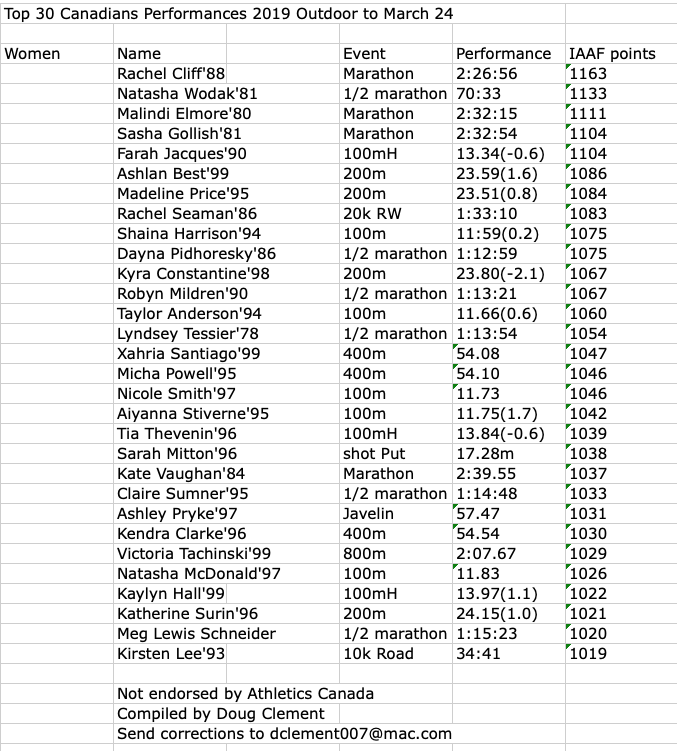 Our race walkers and road racers in the ½ and full marathon in both the men dominate the statistical list below and women’s top 30 lists. 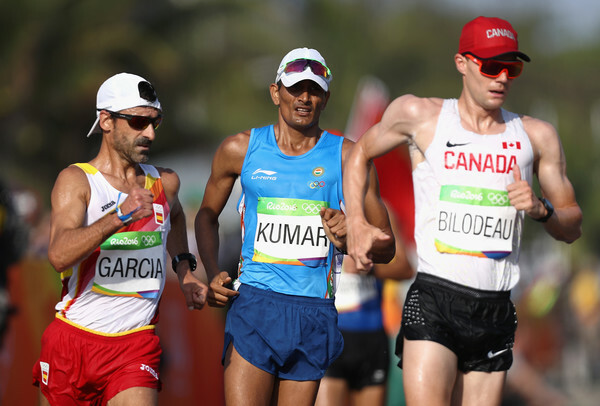 Many of our top world ranked athletes will have a later start than most years because of the IAAF World Championships being held in Doha in September and October. An exception may be Aaron Brown who started last week in the rarely tackled 400m in 46.33. Brendon Rodney has run 20.77 in the 200m after an injury plagued 2018 season. 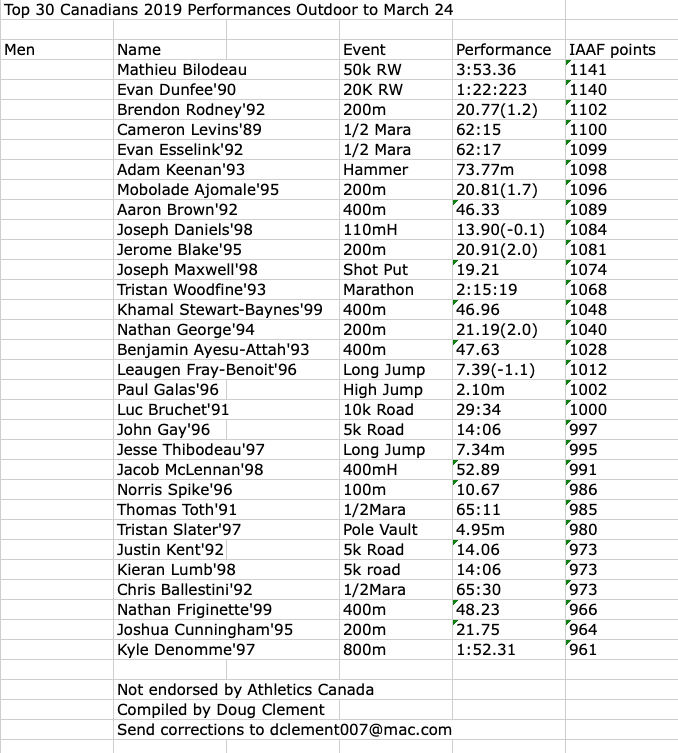 Look for some explosive results in the weeks to come as Canadian athletes tackle the tougher IAAF and Olympic standards.